, protein, cholesterol, or fat. No amount of supplementation will remedy these excesses. Who loses weight or reverses atherosclerosis by taking a vitamin pill? I don't know anyone who has improved their health this way, but I do know plenty who've done so by switching to a low fat raw vegan diet, eating plenty of healthy produce, and sunbathing. The truth is that taking supplements dramatically increase your risk of developing cancer, heart disease, and losing bone mass, among other problems. Listening to the host of scientists and corporations who've teamed up to create thousands of high-profit products based on isolated, concentrated nutrients, consumers have come to believe they can overcome dietary deficiencies and excesses by popping pills. The pills aren't that complicated. The supplement industry just needs to find a phamacologically-active ingredient in common food, purify and isolate it, and then manufacture it in large quantities. These are marketed as "natural", and comparable to actually eating fruits and vegetables. The result is bottles filled with Omega-3 fish oil and whey protein, and pills containing vitamins and minerals. Nutrition bars, fortified cereals, and nutrition bars are in the same category. Vitamins are compounds the human body cannot create on its own. We must take them in from outside ourselves to remain healthy and prevent illness. Of the 13 known vitamins (opinions vary, but there are likely many more we don't know about), 11 are found in plant foods. Vitamin D -actually a hormone manufactured by the body when sunlight hits the skin, and not a vitamin at all - only comes about when we expose ourselves outdoors. Vitamin B12 is created from bacteria, and how exactly we come to possess it is a controversial subject. Some think we have internal production capabilities, others that we can get it through organic produce, and still others that we need to eat animal foods or take a pill to get enough. 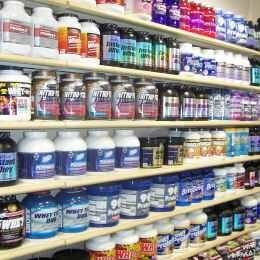 None of these supplements can give us what we need because of a simple rule: the whole is always greater than the sum of its parts. Plants display a riot of connections working in harmony that the scientific community hasn't even begun to get their heads around, and trying to extract one part in isolation from this intricate web is folly. Take a look at an apple - it is what it is because of its beautiful arrangement of molecular architecture resulting in precisely the form we've dubbed an apple. There are proteins, fibers, fats, carbohydrates, minerals, vitamins, and many other plant-based phyto chemicals present in your apple in uncounted thousands, all working together to make it what it is. When you chew this apple, it does not magically fall apart into its constituent parts, but remains full of connections. As it moves down your throat and into your stomach, the chewed food bits contain almost all the basic components and relationships the whole food did. Just as importantly, no element is present in quantities disproportionate to our nutritional needs. Eventually, these parts enter the blood stream and begin interacting with the body's approximately 10 trillion cells, providing the raw materials for the proper function of your body. Scientists admit they only have the most basic understanding of how the body and food interact, but they've seen enough to understand that, like an orchestra, the whole is far more beautiful, complex, and effective than the individual instruments (vitamins). Also like an orchestra, if there are too few or too many of something in the system, disharmony is often the result. The tremendously-profitable supplement industry (it made $25 billion in 2008) has the resources to wage an endless PR campaign touting the benefits of its products. This campaign has taken in most of the public and even many doctors, despite the numerous studies showing vitamin supplements harm our health. But health authorities are now asking the supplement industry, doctors and dietitians to act more responsibly and warn consumers about the dangers of consuming vitamins in isolation (1). For the same reason, some are calling for the fortification of our food supply (breads, cereal, flower, and other processed food) with folic acid and other nutrients to be halted (2). What could cause such an about face? The ramifications of this statement are huge. 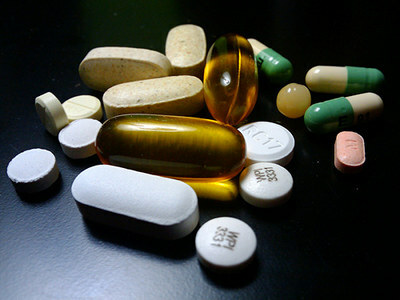 Large swaths of the general public take one or even all of these vitamins every day in multivitamin pills, and are killing themselves slowly as a result. Vitamin supplements came about for a very simple reason: We are convinced we're smarter than nature is. Life, however, routinely demonstrates that we're bumbling fools when it comes to one-upping her. Take, for instance, out idiotic handling of beta carotene, an organic compound which plays a role in the red and orange pigments found in many fruits and vegetables. In the 1980s scientists concluded to their satisfaction that that those who ate large amounts of beta carotene from fruits and vegetables had much lower incidences of cancer. The wondered if they'd struck paydirt and found the one element that prevents cancer, one of the scourges of our civilizations. To test their theory, they set up multiple studies to see if beta carotene in an isolated pill, divorced from the full nutrient package it originally came in, would be enough to prevent cancer formation. A Finish study of high-risk lung cancer patients was one of the first to come back, and demonstrated how mistaken we were. The study showed that not only had the beta carotene failed to prevent lung cancer, it had actually increased the subjects' chance of getting it by 28 percent (5)! The death rate from heart disease had also increased by 17 percent (6). The study was called off when the scientists realized what was happening, and only much later did people come to understand what occurs when you flood the body with beta carotene in isolation. The problem is that a pill is not a plant. Beta carotene is one of about 50 carotenoids found in plant foods. Normally, when the appropriate mixture of carotenoids enters a cell, they float around in the cytoplasm until they find a receptor site to attach to. But when the body is flooded with a vitamin overdose of isolated beta carotene from a pill, there is an overwhelming competition for the receptor sites, and the 50 other needed carotenoids are displaced, creating deadly nutritional imbalances (6). Beta carotene is just one example among many. For instance, isolated Retinol (vitamin A) causes a 1 in 57 chance of creating birth defects when taken by a pregnant woman (7) and increases hip fractures in elderly adults (8). Vitamin E increases your chance of heart failure (9). Among diabetics with kidney disease, those given a mix of vitamins had worse kidney function than the control group and twice as many vascular problems (10). The list goes on and on, and there is a very common and repeated sequence of events. Scientists conclude those who take in a lot of a specific nutrient from fruits and vegetables have improved health. The scientists extract that nutrient from its source, isolate it, and stick it in a pill. They design a study around it and see if giving it to people will be effective in fending off some disease or health complaint. Although there are exceptions, such as folic acid supplements reducing the chance of birth defects (11), the overwhelming majority of these trials have shown little if any health improvement, and, in many cases, an increased risk of disease for those taking supplements. Vitamin overdose is a real threat. Often before anyone has determined what the long-term consequences will be, the public jumps onto the newest vitamin craze and starts supplementing. So why does this cycle go on? It's quite obvious that isolated nutrients are not going to give us long-term solutions. The answer to disease is to eat a diet predominating in fresh produce. Unfortunately, there is little money to be made in hawking fruits and vegetables. Standard American diet eaters are also well known for their aversion to eating more of them, and so another way around the problem is continuously sought. Pills, on the other hand, are extremely easy to make and profitable. As long as they can be hawked as magic cures, their success will continue. Considering that an estimated 39 percent of the US population is deficient in Vitamin B12 (12), and deficiency can lead to serious problems, some suggest B12 should be an exception to the no-supplement rule. There is no known risk of a B12 vitamin overdose, so those wishing to supplement appear to be safe. However, B12 deficiency is as much an issue of absorption as intake. Anyone who eats meat is getting plenty of B12 because animals have it in their system. Regardless, plenty of meat eaters are deficient. Despite not supplementing or eating animal foods in years, I've still got high levels of B12, which would seem to indicate that I'm getting it through my diet of raw fruits, vegetables, nuts, and seeds, or that the bacteria in my intestines is able to produce it locally. For a more thorough overview of the B12 issue, see this article. Vitamin D -actually a hormone - is another critical area where many people are deficient, and so once again we are tempted to supplement. The problem is that in many cases, despite large-dose D supplements, deficiency problems do not seem to be improved (13). Blood concentrations rise, this doesn't seem to make much difference in our health. And just as with many other supplements, a D vitamin overdose causes health problems. Even in concentrations considered medically safe, an increase in prostate cancer, immune system suppression, autoimmune diseases, gastrointestinal symptoms, kidney disease, and calcium stones have been noted resulting from D supplementation (14-20). The only way to safely take in Vitamin D is by letting the sun's rays fall on your skin. To learn more about the benefits of making sun exposure a part of our routine and ideas for how to do it, see my ebook, The Raw Food Lifestyle. I certainly support science's quest for solutions, but as of today, we are far from knowing better than the nutritional layout of 400 million years of evolution. The uncountable but purposeful and effective interactions that occur between man, plants, and the planet have clear reasons for being around. When we meddle with them without understanding the results are often disastrous, as our vitamin supplement use should show us. Luckily, we have a much better solution to disease. The underlying realizations that vitamins, minerals, and other nutrients cure disease is correct, but we must understand that they only work in conjunction with each other as part of a healthy package. It's virtually impossible to overdose on a nutrient by eating it through whole fruits and vegetables. 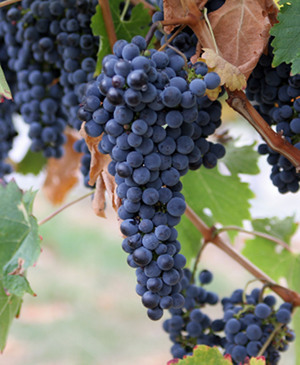 In fact, better than anything medical science can bring to bear, the compounds found in raw fruits and vegetables inhibit cellular aging, fuel cellular repair, induce the detoxification enzymes that keep us clean and healthy, and bind the carcinogens which lead to cancer (21). The answer is clear: Skip the vitamin overdose and eat a diet of fruits and vegetables, get plenty of sun, and lead a healthy lifestyle. 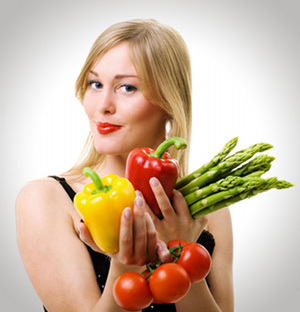 Learn about a healthy raw food diet that will prevent disease. 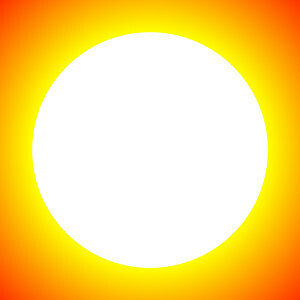 Read how you can harvest the sun's rays to increase your health in The Raw Food Lifestyle. If you liked this vitamin overdose article, check out the nutrition section. 1) Miller ER 3rd, Guallar E. Vitamin E supplementation: what's the harm in that? Clin Trials. 2009 Feb;6(1):47-9. 2) Hubner RA, Houlston RD, Muir KR. Should folic acid fortification be mandatory? No. BMJ. 2007 Jun 16;334(7606):1253. 3) Bjelakovic G, Nikolova D, Simonetti RG, Gluud C. Antioxidant supplements for prevention of mortality in healthy participants and patients with various diseases. Cochrane Database Syst Rev. 2008 Apr 16;(2):CD007176. 4) Bjelakovic G, Nikolova D, Simonetti RG, Gluud C. Antioxidant supplements for preventing gastrointestinal cancers. Cochrane Database Syst Rev. 2008 Jul 16;(3):CD004183. 7) Dolk HM. Dietary vitamin A and teratogenic risk: European Teratology Society discussion paper. Eur J Obstet Gynecol Reprod Biol. 1999 Mar;83(1):31-6. 8) Michaelsson K. Serum retinol levels and the risk of fracture. N Engl J Med. 2003 Jan 23;348(4):287-94. 9) Lonn E, Bosch J, Yusuf S, Sheridan P, Pogue J, Arnold JM, Ross C, Arnold A, Sleight P, Probstfield J, Dagenais GR; HOPE and HOPE-TOO Trial Investigators. Effects of long-term vitamin E supplementation on cardiovascular events and cancer: a randomized controlled trial. JAMA. 2005 Mar 16;293(11):1338-47. 10) House AA, Eliasziw M, Cattran DC, Churchill DN, Oliver MJ, Fine A, Dresser GK, Spence JD. Effect of B-vitamin therapy on progression of diabetic nephropathy: a randomized controlled trial. JAMA. 2010 Apr 28;303(16):1603-9. 11) Blencowe H, Cousens S, Modell B, Lawn J. Folic acid to reduce neonatal mortality from neural tube disorders. Int J Epidemiol. 2010 Apr;39 Suppl 1:i110-21. 13) Vitamin D supplementation in the age of lost innocence. Guallar E, Miller ER 3rd, Ordovas JM, Stranges S. Ann Intern Med. 2010 Mar 2;152(5):327-9. 14) Heikkinen AM, Tuppurainen MT, Niskanen L, Komulainen M, Penttil I, Saarikoski S. Long-term vitamin D3 supplementation may have adverse effects on serum lipids during postmenopausal hormone replacement therapy. Eur J Endocrinol. 1997 Nov;137(5):495-502. 15) Tuppurainen M, Heikkinen AM, Penttil I, Saarikoski S. Does vitamin D3 have negative effects on serum levels of lipids? A follow-up study with a sequential combination of estradiol valerate and cyproterone acetate and/or vitamin D3. Maturitas. 1995 Jun;22(1):55-61. 17) Tuohimaa P, Tenkanen L, Ahonen M, Lumme S, Jellum E, Hallmans G, Stattin P, Harvei S, Hakulinen T, Luostarinen T, Dillner . Both high and low levels of blood vitamin D are associated with a higher prostate cancer risk: a longitudinal, nested case-control study in the Nordic countries. Int J Cancer. 2004 Jan 1;108(1):104-8. 18) Marshall TG. Vitamin D discovery outpaces FDA decision making. Bioessays. 2008 Feb;30(2):173-82. 19) Meyer G, Kpke S. Vitamin D and falls. Information on harm is missing. BMJ. 2009 Oct 28;339:b4395. doi: 10.1136/bmj.b4395. 20) Hsia J, Heiss G, Ren H, Allison M, Dolan NC, Greenland P, et al. 2007 Women's Health Initiative. Calcium/ vitamin D supplementation and cardiovascular events. Circulation 2007;115:846-54.